Add a little bit of zest to your life with this spicy black bean burger recipe. Made with canned beans and simple pantry ingredients! This post was sponsored by S&W Beans as part of an Influencer Activation for Influence Central and all opinions expressed in my post are my own. Some of you may know that I used to be a vegetarian. It was for 7ish years and, for health reasons, I went back to eating meat. But I’ve tried to find a balance between the two. I like to call myself a flexitarian now and love incorporating some of my favorite vegetarian dishes into our regular meal rotation. Over the years of trying to eat healthier, I’ve started adding more spice to my foods. So I knew it was time to update my old recipe to make way for a spicy black bean burger recipe. And it is goooood. This recipe is golden for me for a few reasons, other than the taste. It’s common pantry ingredients so they can be made pretty much any time I want them. I’m always peeved when I want something but I’m missing crucial ingredients. It uses canned black beans! Yay for convenience and ease. Don’t get me wrong – I love dry beans. But they aren’t always better, especially when you’re in a hurry like we tend to be with our seven month old. My go-to beans to keep our pantry stocked are S&W Beans. They’ve been providing premium quality beans that look great and taste even better for over 120 years. S&W Beans have such a great variety of beans, including some out of the ordinary ones like their 50% less sodium and organic options. Deal alert! Now through April S&W Beans is offering $1 off 2 cans of S&W Beans. Get (and print) your coupon from the S&W Beans website or follow them on Facebook, Twitter, Instagram or Pinterest. The recipe I have below yields six delicious spicy black bean burgers, but you can adjust the size if needed. These don’t expand when cooked so you can easily double the size if you’re using a larger bun. And it’s not super spicy. It has just the right amount of kick for me, but you can easily kick the spice up a notch by swapping or adding in cayenne. 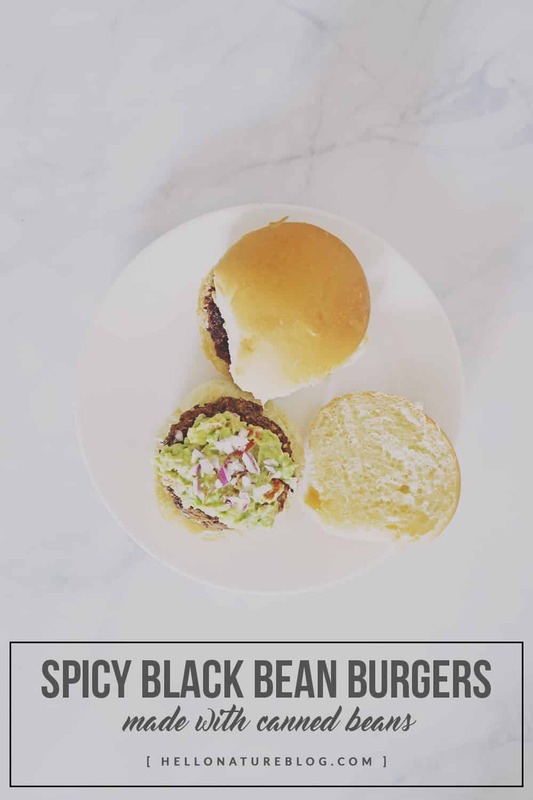 This spicy black bean burger recipe is super flexible if you’d like to adjust the flavors which is why I love it. This version is perfect for Mexican toppings like guacamole (maybe even this Fresh and Zesty Guacamole Recipe), peppers, onions, etc. Take 3 tbsp from the mixture, form a ball and them press into a patty. Repeat with the rest of the mixture. Preheat the olive oil over medium-high. Once hot, cook the patties for five minutes on one side. Flip and cook for another five minutes or until thoroughly heated through. Serve on a bun with guacamole, onions, salsa, or your favorite toppings. The above recipe is completely vegan without the egg as that is commonly used a binder for the burgers. If you prefer a more structured burger, add an egg (egg white and yolk) to the mixture. Up the spices or swap out one for cayenne for an even spicier version. I want to know: What is your favorite recipe with black beans? Are you a fan of black bean burgers? Don’t forget to grab your coupon for $1 off 2 cans of S&W Beans! I was actually a vegetarian for two and a half years. So I can appreciate a good vegetarian meal every now and then. These burgers look amazing! Those burgers look really good. My family and I are meat eaters, but I think even we would love these. I can’t believe I’m going to say this. I’m a total carnivore, but I think this bean burger looks amazing. That’s no small praise coming from a cow eater like me. Everything about this burger seems like perfection! Love the fact that you suggest topping it with guac! The guac adds so much to it! This actually looks good! I love making different meals once a week. This will be added to my new item!! Love that this recipe is vegan! Black bean burgers are on of my favourite foods! I am a vegetarian and always on the hunt for a good burger recipe! This burger looks soooo tasty!!! These sound amazing!! I’m not a vegetarian by any stretch of the imagination but I love to incorporate “meatless” meals into our meal planning. Going to try these out! I am not a vegetarian, but this burger looks really good. I would love to try this. This recipe looks delicious! I will have to try it with my toddler! mmmm this is making me hungry! and wwwhooo its vegan yayaa! I’m going to have to try this! I hope you love it, Alicia! This is something that I should definetely try! It looks very delicious! YUMM! These look amazing! I can’t wait to make them!! Thanks! This looks amazing. I never thought about using beans this way. I have to try this since I have these beans at home too. A close friend of mine is vegetarian and when she comes over, my boyfriend cooks a vegetarian meal everyone will enjoy. I’ll have to show him this recipe so he can play with it for a dinner night with her! I’m a proud carnivore, but that burger looks pretty tasty! I will have to give it a try. I love Black Bean burgers! My husband would love the additional spice that you added to your recipe. I’ve never had a black bean burger before. It sounds really good though. Can’t wait to try it! Thanks for the recipe! This looks and sounds perfect!! 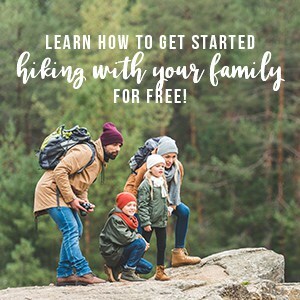 Sharing this one with my sister (She’s vegetarian) – thanks for sharing on the What’s for Dinner link up! Yum! These black bean burgers sound great!